When you’re living in a world which is more inclined towards the negative than the positive, it can become difficult to feel hopeful about anything. 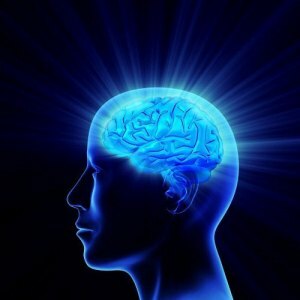 With a volatile economy, plunging global relations, and a media which won’t stop harping on about it, most people have now created a scarcity mindset for themselves which just won’t go away. A scarcity mindset is about focusing only on the negative aspects of life. It’s a mentality which tells people that there will not be anything good in life, and that any dream they have will soon be crushed because they won’t have the opportunities to make them a reality. Although a lot of people might just chalk it up to a person being really negative, what we all forget is that no one wants to be negative. Also, we overlook the fact that if there is a negative side, then it can be countered by positivity as well. 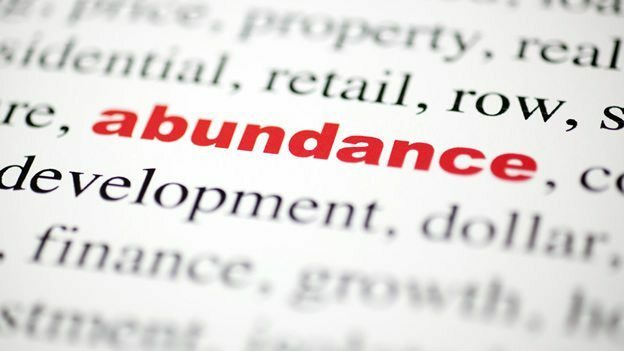 An abundance mindset is completely opposite to a scarcity mentality. Coined by Stephen R. Covey, this concept talks about how we should focus more on the optimistic side of life. Although this is easier said than done, what he means is that we should believe that there are enough resources and achievements to be had, that we can share them with others. 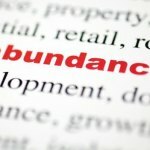 Having an abundance mindset isn’t just for an individual. Businesses strive to increase their progress by following this method of thinking. Based on the belief that there is more to go around, the industry can become less cut-throat and more economic and accommodating. Every business can then encourage competition and although a healthy rivalry is a good thing, it can turn ugly if it is paired with the mindset that every resource needs to be used in fear that it will not be available one day. Basically, the main thing is to realize what you have, instead of what you don’t. Organizing your things isn’t just done so you can keep them neat and tidy. Organizing can actually make you more efficient. Not only will you be able to feel good about yourself, but you will also feel that your life is in order. Have you ever felt drained after sitting with a friend who keeps ranting on, about not having a good day? That’s probably because their negativity is rubbing off on you. For an abundance mindset, it is better to surround yourself with more positive people rather than those who do nothing but complain. It is better to have an appreciative conversation rather than just talking about the bad things. When you’re with your family or friends, you have a multitude of topics to talk about, so talk about happier times or personal experiences. One thing creates a major negative impression; excessive media consumption. 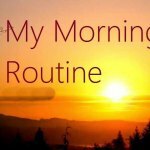 What you need to remember is that all forms of media have started out as simple news platforms, they are still a business, and that every business revolves around creating an atmosphere where people desire for things they can’t have, whether it is the peace of a certain lifestyle or a packet of chips. Desire to have something which you can’t have can push you towards negativity and thus, make you feel worse about yourself. Stop comparing yourself to everyone around you. All our lives, we are told to be better than the next person, but if we stay in competition with the world for our entire lifetime, we’ll forget that we have a life of our own to live. You need to remember that you are as important as anyone else, and although you might see other people talking about their fabulous lives on Facebook, understand that you are only seeing highlights of their time and not the whole picture. Everyone goes through the bad stages of their life, and if the other person is having a positive time, so shall you. Start focusing more on how you can make your life better. An abundance mindset will help you realize your true value and by doing so, you will push yourself to be better because in the end, you are the one who will have your own back. Make sure to comment and share this article as sharing is caring.